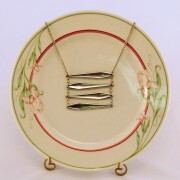 Flatware Necklace - Carmichael Inc. 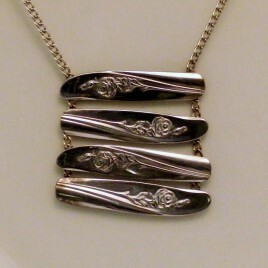 This necklace was designed for the woman who knows her own mind — the one who isn’t interested in following the crowd to the latest big retail jewelry store trend. 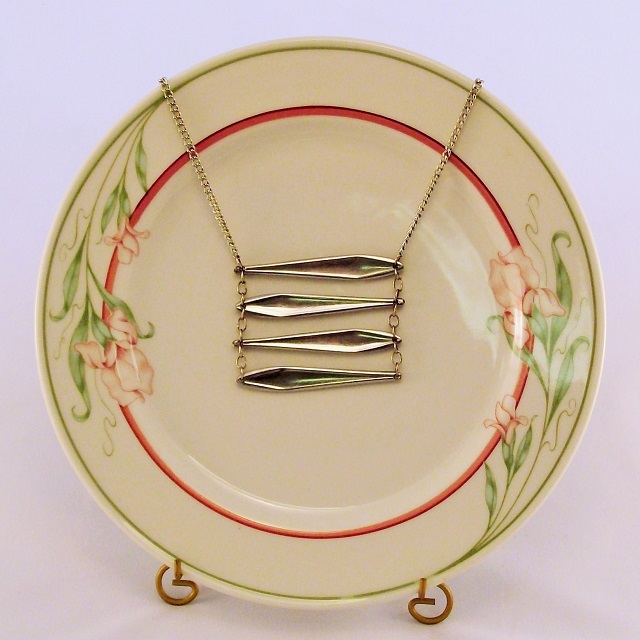 Celebrate your own uniqueness with this one-of-a-kind, handcrafted necklace, made from vintage stainless flatware in a bold, geometric pattern. 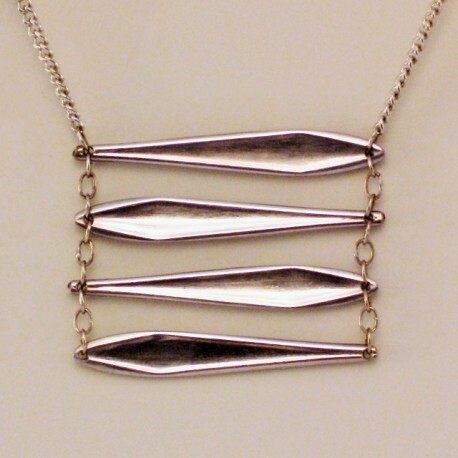 The diamond-shaped cutlery handles are 3 inches long, and the necklace chain is 24 inches long. We solder the chain’s connecting links between the cut handles for added strength. 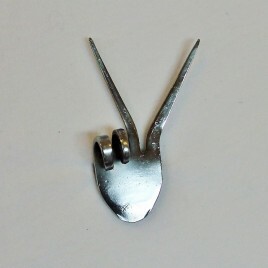 Featuring the instantly recognizable peace sign, this handmade vintage flatware brooch pin makes a statement wherever you go. 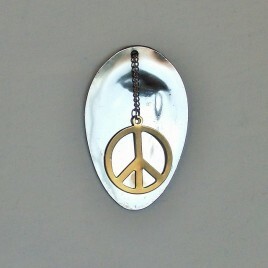 Wear it on your hat, coat or any other article of clothing. It looks right at home on a denim jean jacket too, of course. You won't have to worry about the pin bar falling off because we permanently solder it in place for security. 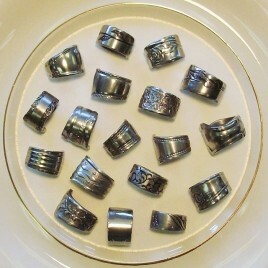 Made by Carmichael This item is sold individually (Order Qty 1 = 1 Brooch) Items "in stock" are usually shipped within 2 business days of your purchase.